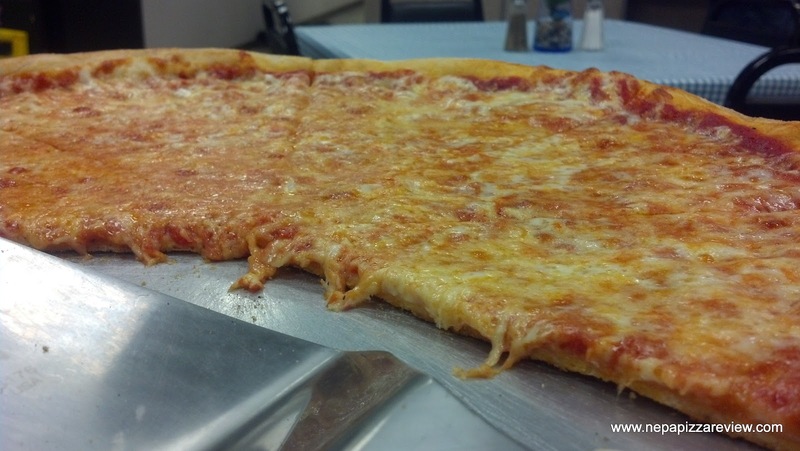 I first heard about Armenti's Pizzeria when its owner sent me a message on the NEPA Pizza Review Facebook page, inviting me to try his pizza and review it. This was very intriguing to me because this told me that the owner had confidence in his product if he wanted to put it to the test! Now, you all know that I work anonymously so that I don't receive special treatment, so I waited about 2 months before taking him up on his invitation. Since my first lady was already down in the Mid Valley area, she decided to team up with me yet again for a review. As we approached the building, which is a brand new plaza, we couldn't help but notice how new, modern, and open the storefront was. When we walked in, there were about 8 comfortable tables to sit at, so we picked one, and our friendly waittress greeted us. Of course I didn't need to look at a menu, because I new what I was going to order, so I spent my time watching the pizza guy do his thing in the open kitchen. I later found out that the pizza guy is actually the owner, and he's a good guy that really cares about his customers. After noticing that this was our first visit to Armenti's, he sent out some meatballs for us to try while we waited for our pizza. 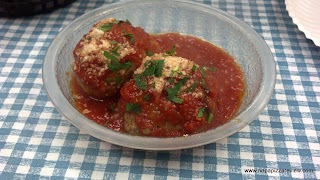 The meatballs were MASSIVE, about the size of a tennis ball, and they were delicious. I would definitley order them next time on top of a pasta dish! After watching the pizza guy pull our pizza out of the oven and put it back in for one final minute, I didn't even have to wait for it to get to the table, I already could tell this pie was going to be cooked perfectly, and upon arrival, this was confirmed! It was a beautiful sight, a wonderfully constructed pie with a medium thickness crust crafted masterfully. The cheese and sauce were spread evenly and right up to the edge of the crust, which is a prerequisite to any great New York Style pizza in my opinion. The cheese is a high quality, flavorful, stretchy, moist, mozzarella that is savory and delicious. The sauce is more zesty than it is sweet, but I would consider the flavor to be more neutral - the type of sauce that seems to be more popular with everyone. The sauce and cheese combination worked together very well, and there was a nice separation between the two, creating a nice body for the whole pizza. As I said above, the crust is of medium thickness and it too is pretty good. It was crispy and relatively tender, but the thing that really made this crust was how it was formed and stretched by the pizza guy. You've heard mine, but you may be asking, "What was the first lady's opinion of the pizza?" Well, she didn't have much to say for a change, and that tells the whole story here because she was so enamored with the pizza that she just savored it the whole time without saying a peep! So her lack of words indicated that this is her new favorite pizzeria. She also loved the wings for the record! Overall, this is a high quality pizza that utilizes fine ingredients. The owner is clearly a pizza expert who knows what he is doing in the kitchen. I appreciated the hospitality, clean dining room, and good food. I will add that this is a popular lunch spot because they have gourmet pizza by the slice ready to go. This is important for the nearby industrial park and for people on the go, but don't sell Armenti's short, they do have a diverse menu with good prices. 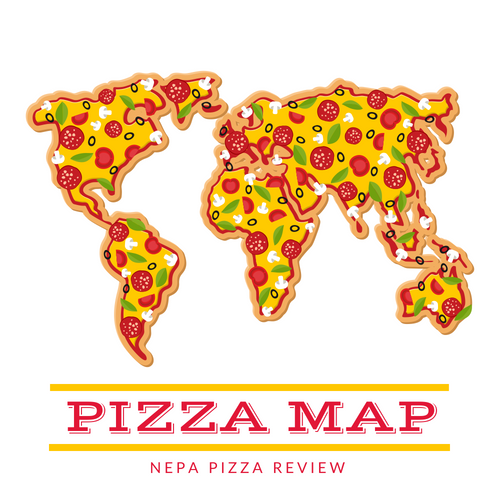 So stop on in, and tell them the NEPA Pizza Review sent you! Also, congratulate the owner for "throwing down" the challenge and passing with flying colors! 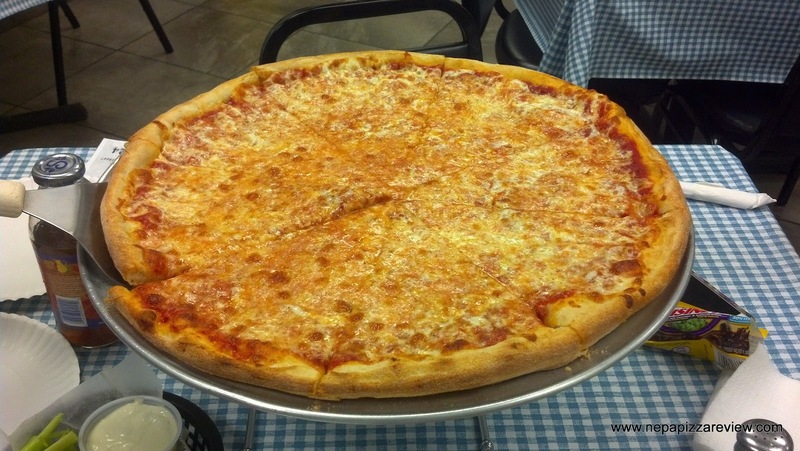 Please check out my photo review and rate Armenti's yourself on pizza570! That sounds like a daring move for sure on behalf of the pizzeria owner! I'm glad it went in his favor. 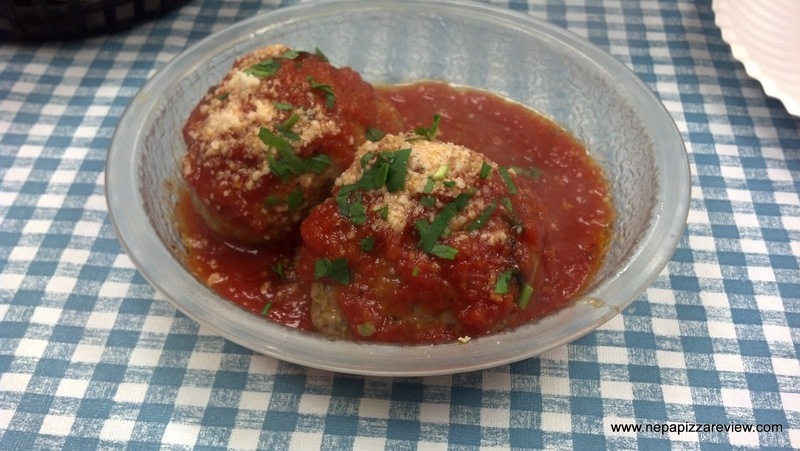 I'd love to sink my teeth into those meatballs; do they offer them scaled down or cut up as a pizza topping? It was a daring move, and it really speaks to the owner's confidence in his product. I respect that. I actually have another owner that wants to put his pizza to the test based on the challenge that Armenti's threw down. I respect that! The meetballs were excellent, I will echo that sentiment. I'm not quite sure if they use them on pizza, but I will ask, because I know I'm going back again soon.